Graduation goggles: The relief and nostalgic feeling one has about a time in their life when it is about to end, even if the time was completely miserable. 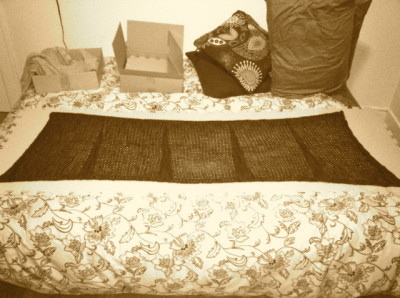 In my last few posts I’ve been dwelling on the completion of a shawl project. It was a project that started out with warm, happy feelings. These feelings quickly devolved into boredom and hostility. 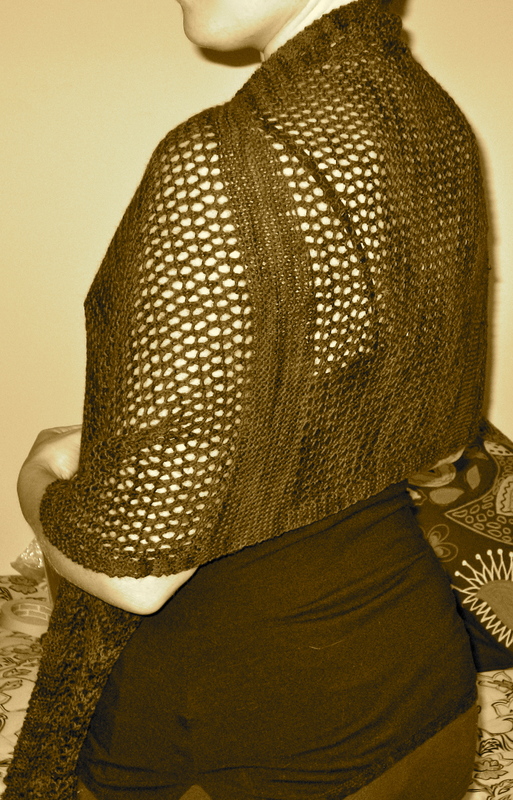 I referred to the shawl as “odious” and “loathed.” I even wrote a humorous poem expressing my disaffection. In my last post, I asked for suggestions on how to “cleanse” the project of all of the negative energies I had invested into it. Most of you advocated taking a little time to set the project aside. I did so, and I’m happy to report that the bad juju dissipated on its own. When the negative feelings departed I was left with a fond, nostalgic feeling for the shawl and the times we’d spent together. I remembered picking out the yarn, and how much I liked working with it. I remembered all the time I spent cuddling with my cats during long evenings on the couch, shawl in my lap. I remembered the admiring looks the shawl received from friends and relatives to whom I showed the shawl. And I thought of the pleasure that I hope the recipient will feel when she receives it. I imagined her wearing it on a brisk autumn morning. It’s graduation goggles, and I’ve got it bad. So glad the story has a happy ending. 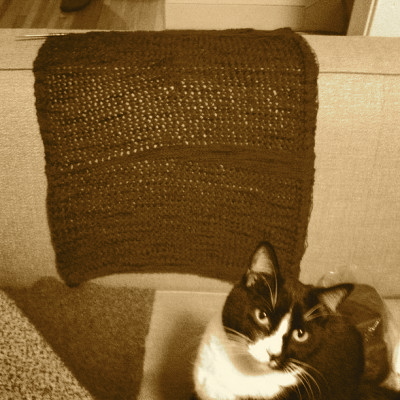 Glad the “knitting time-out” worked! Well, at least you’re gifting it, so the goggles and the juju that came with the project can depart together. Onward to startitis and shiny new things! Morning, we are pleased to inform you that we have nominated you for The Versatile Blogger award. Love reading your blog and enjoy your sense of humor through your writings. See our post for the next steps. Enjoy! That’s so sweet. Thank you! I enjoy your blog as well. 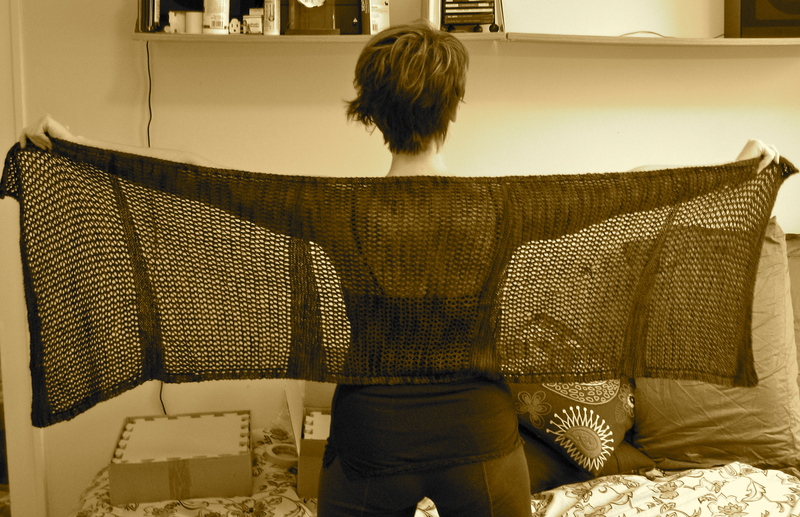 I knitted a Featherweight sweater and wimped and whnged about it the whole time it was on the needles. Once I started wearing it. I LOVE THAT SWEATER. I’ve queued another one.